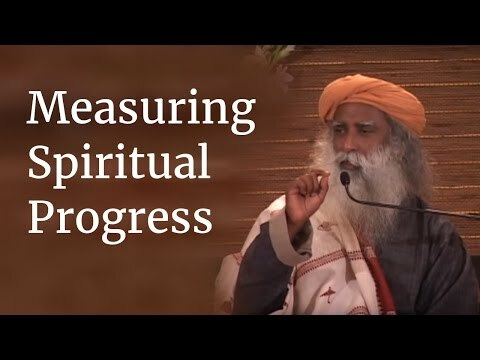 What might be your thoughts on Sadhguru & his thoughts on spirituality? "Spirituality is not some nonsense up there, it is about becoming available to life process in its fullest possibility, not just to the physicality, not just to the mentality, to becoming available to life process in its fullest scope – this is spirituality"
Best Answer: I have always valued his ideas, views. Very balanced. As we BECOME full of the Fruit of the Spirit, watching 'Am I overcoming?' then we are open to spiritual growth. I learn much from him, transfer it to the bible. He talks a lot about what he thinks it is. He gets it. Sadghuru is an intelligent and wise man. Listen to him with an open mind. The question what is spirituality is like asking yourself What am I or Who am I? There is no answer for it. There is no journey nor any destination. It is as it is. Does u think atheists is to a-scared to let Jesus touch them? Why did God create humans in different skin colors? Why not the same color? Is Donald Trump Jesus Christ? How do you think a J.w. would react after waking up from a car wreck with a blood drip in their arm in order to save their life?